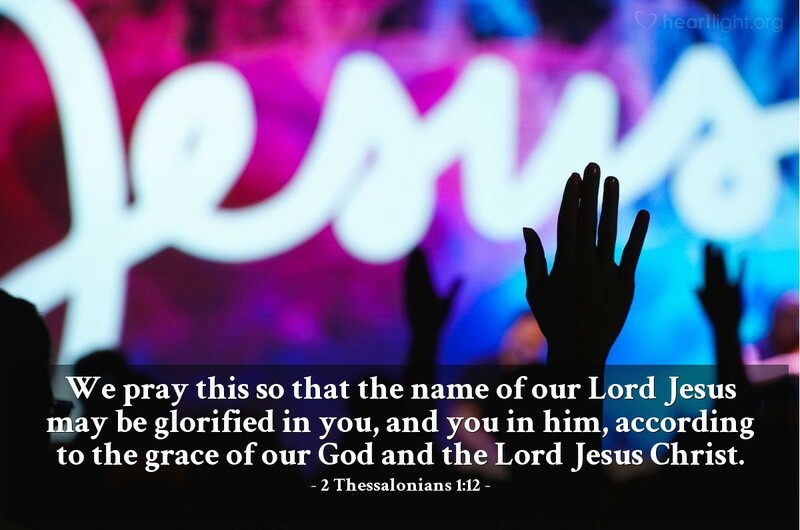 I can't think of a more lofty goal for today than that the name of Jesus be glorified in what we do and say. But then Paul takes it a step further — that we find our glory by being identified with him! As the famed old hymn "Beneath the Cross of Jesus" says it, "my glory all the cross." Father of majesty and might, please help me as I strive to plan what my daily activities will be and then prioritize those activities so that my focus and passion are on bringing you glory in all that I do, think, and say. In Jesus' name I pray. Amen.